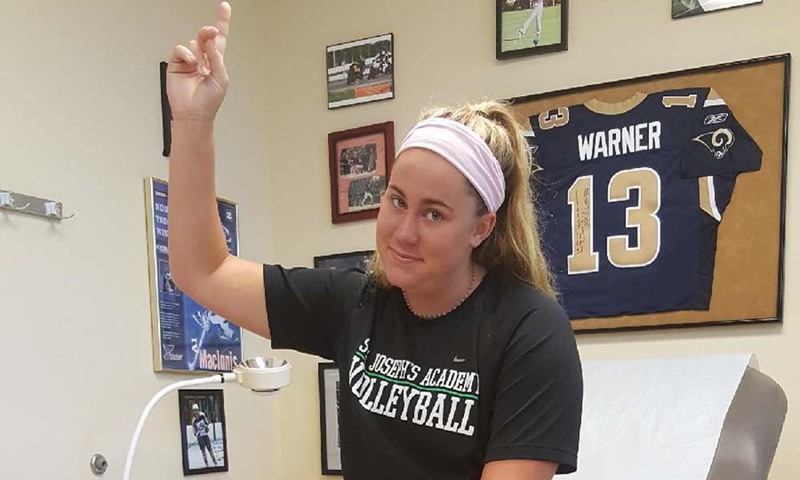 Written by student-athlete Johni Bunkers with Sloane Green. Imagine you are a competitive volleyball player in an area known for the sport. You are approaching one of the strongest seasons of your career as a junior in high school with a college scholarship offer that you’re excited about. This is the season your team has all the tools to win a State Championship and you’ve finally earned a starting role. It all seems perfect when suddenly it all crashes underneath you… literally. You’ve torn your ACL. You have to sit out and watch your team compete in the State playoffs. The college scholarship you thought you had could no longer be offered to you. Johni Bunkers doesn’t need to imagine this. The 6-0 six-rotation outside and opposite hitter has lived it. And yet through it all, Bunkers has remained positive and is determined to get it all back, and then some.